Prezentare Most youth Bibles are just teen versions of adult Bibles. 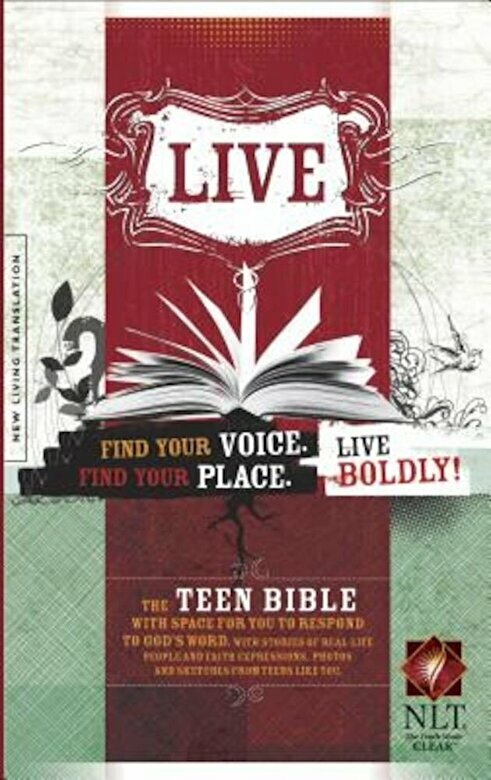 Live takes an all-new, teen-centered approach. It includes a wealth of experiences and activities that help teens discover surprising things about God, see God involved in their lives, and express their faith creatively—both in the pages of the Bible and on the tie-in Web site. This is the only youth Bible with content created by teenagers. Art, photos, and other creative forms of self-expression from youth are packed into this Bible as a launching point to drive teens into God's Word. Teens will see how God works in the lives of other teens and be encouraged to express their faith, too. C. S. Lewis said, “We can nowhere evade the presence of God. The world is crowded with Him. He walks everywhere incognito.” This Bible will show teens this truth. Features include NLT text, two-color interior (orange/black), student art, student poems, interactive tie-in Web site, sidebars that spark teen creativity, “Try This” feature that encourages teens to live out their faith, quotes and profiles of famous people of faith.